Smart marketers know that traditional marketing is becoming less effective as a viable strategy in making the connection with a consumer that is needed to interact with a consumer, influence, change and enhance that consumer’s behavior with your brand and product. In order to execute a content marketing methodology that will deliver the ROI you need, generating a Content Marketing Framework is absolutely a necessity and the base required to a winning content marketing execution. Here are 9 steps to help you define, develop and plan your content marketing strategy effectively based on a killer Content Marketing Framework built before generating and distributing one piece of content. Define your content marketing goals and match them with your brand’s business objectives. Know your KPIs before thinking about content. Prioritize your objectives. What is the most important result? Is it engagement? Awareness? Traffic? Lead generation and conversion? Sales? Understand your consumer needs. What are they passionate about? Their challenges? Their doubts? What can they use to make the decision you want them to make (purchase, share, engage, register, contact info)? Map your consumer interests so you can develop content for the right channel to target the right message to the right audience at the right time. Do your homework. Audit consumer conversations to learn how your content can anticipate wants and needs that will speak to your defined audience segments. Determine how your audience will access and see your content. What platforms (mobile, tablet, desktop)? What channels (search, social, media, blogs, email, apps, video)? Map your defined audience segments against their preferred media channels. 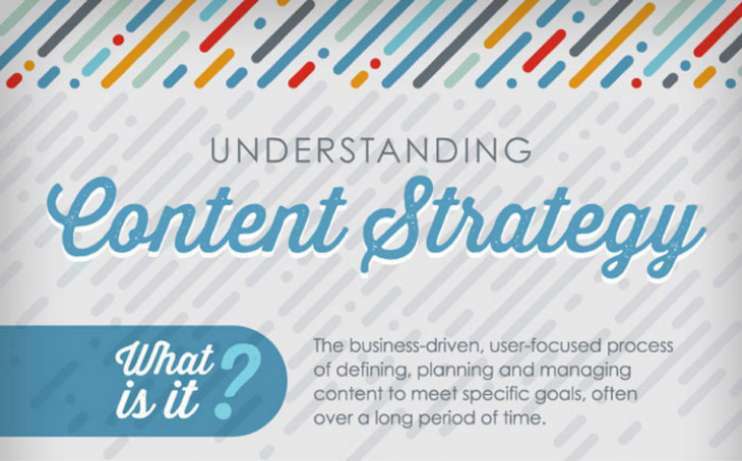 This will help you start to define the types of content. Videos, apps, widgets, infographics, contests, sweepstakes, UGC events, etc. Next step. Brainstorm! Now that you have your content marketing strategy in place you are ready to dream up concepts and campaigns that will align exactly with your goals and objectives. Remember, marketing in digital is impossible without great content. Also, remember, that the “customer is in charge.” If you keep these two facts in mind when dreaming up content and campaigns, you and your team will achieve every one of your content goals.